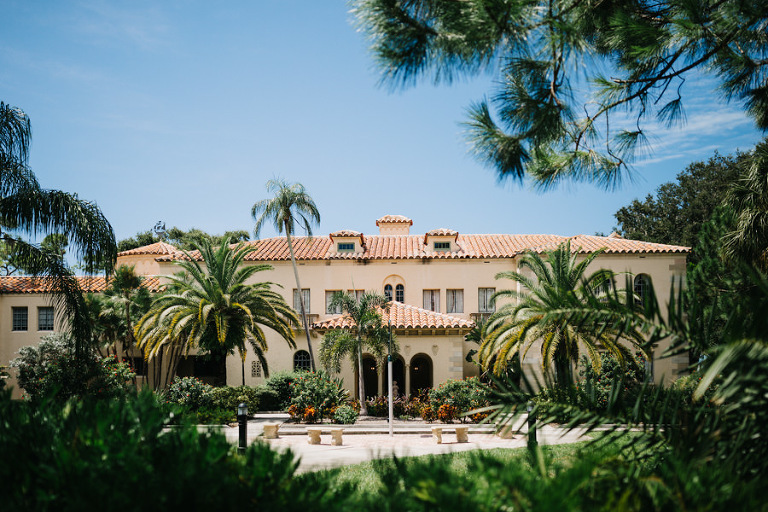 Angela and Nick’s timeless Sarasota wedding featured an outdoor ceremony, navy blue and gold color palette and elegant floral designs. 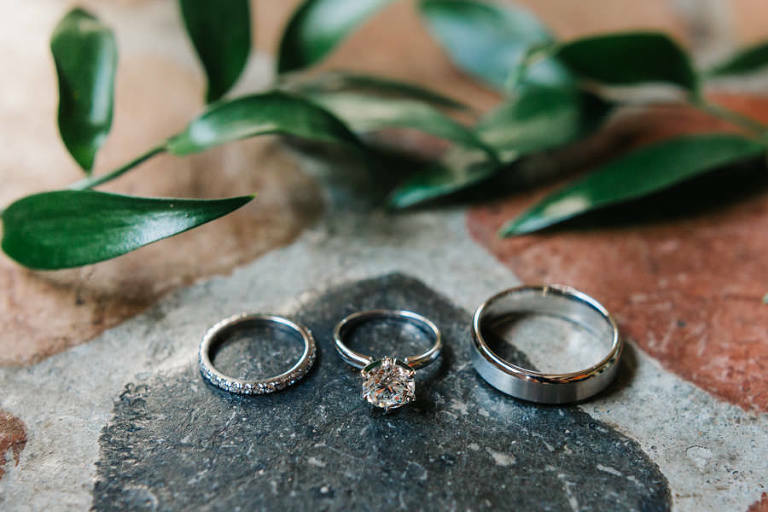 The Tampa couple searched for a Sarasota wedding planner who was easy to work with and who had knowledge and experience with vendors in the area. To bring their elegant affair to life, the bride and groom wanted a wedding florist who understood their vision for their big day. Looking back, some of Angela’s most memorable moments included seeing her soon-to-be-husband for the first time. Someone who was easy to work with, experienced, knew the area and venue and had connections with vendors. 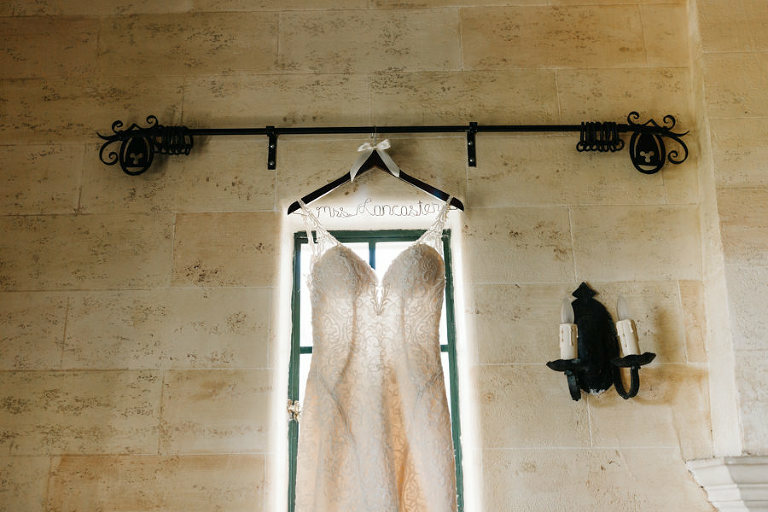 I chose Nicholle Leonard Designs as my wedding planner because of our first conversation. She was sweet, understood my wants and needs, explained everything clearly and was within budget. I wasn’t a bride who knew everything I wanted, and Nikki really helped me stay on track. She was extremely helpful throughout the entire wedding planning process, especially the day of our wedding! While on vacation over Thanksgiving, Nick proposed while we were watching the sunset with family and friends. We wanted someone who was knowledgeable, easy to work with and understood our vision for the wedding. Once I met with Scott, the owner of Apple Blossoms Floral Designs, we were sold and didn’t even look at any other florists! Scott saw our vision and understood our budget. When I saw our flowers the day of the wedding, I was overwhelmed with his work! Scott and his team exceeded my expectations, were extremely professional and they made my vision come to life. I would definitely recommend Apple Blossoms to any bride! Elegant, yet simple. We chose a more relaxed theme since the venue was beautiful on its own. Slate blue, navy, ivory and gold. We wanted colors that were calming and timeless. 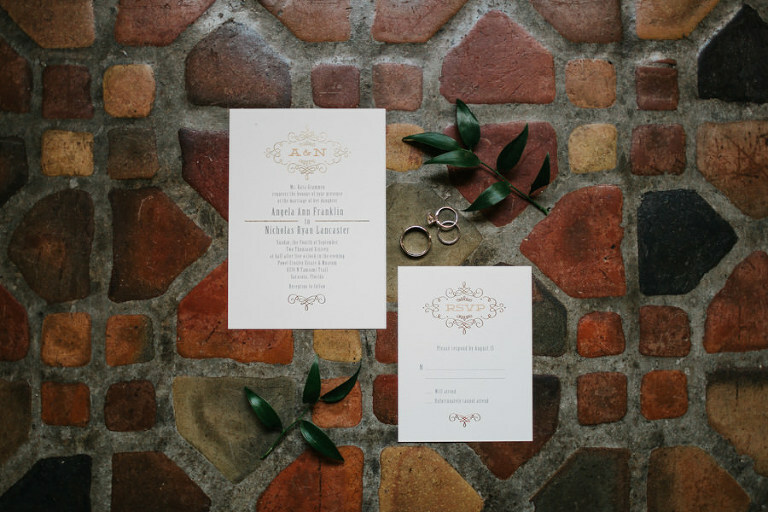 Do a first look: I was against a first look until my photographer explained the benefits. With a first look, you can have that special moment with your husband in private and capture pictures beforehand, which then leaves more time to celebrate with everyone else later on. Be sure to ask for food to go for after wedding. You wont really eat on the wedding day, but you will be thankful to have something later that night! Wear comfortable shoes for after the ceremony. Once the ceremony and formal pictures were complete, I changed into Converse for the rest of the night, and it was the best decision!